A suspect is in custody after a sheriff's deputy in Washington state was shot and killed while responding to a 911 call late Sunday night, authorities said. Pierce County Deputy Daniel McCartney was shot just after 11:30 p.m. while responding to a call reporting a home intruder, a sheriff's office official said. In the 911 call, "dispatchers could hear screaming and a scuffle taking place," the sheriff's office said. McCartney, the first deputy to arrive, became involved in a foot chase with a suspect, "during which shots were fired and the deputy was struck," the sheriff's office said. He was taken to a hospital in Tacoma and died, the sheriff's office said. Deputy, Father, Husband, Son, Friend, Brother. Hero. 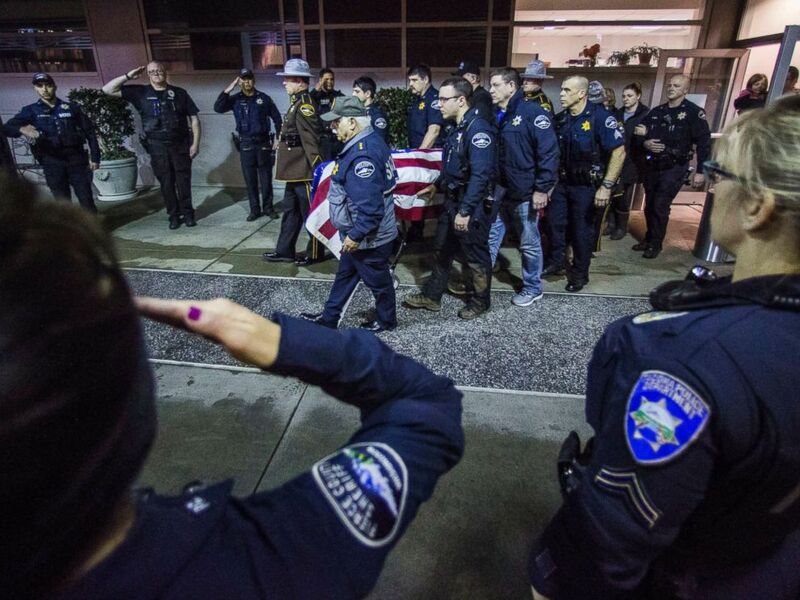 Officers and medical staff take part in a procession for officer Daniel McCartney, of Yelm, at St. Joseph Medical Center in Tacoma, Wash., Jan. 8, 2018. Two suspects were involved, one of whom was also shot and died at the scene, the sheriff's office said. The deceased suspect is between 34 and 35 years old but will not be identified until next of kin has been notified, officials said. A manhunt ensued for the second suspect, who a sheriff's office official stressed should be considered armed and dangerous. Updated suspect description in murder of #PCSD deputy: Unidentified male, mixed race or white, tall, thin, curly dark hair in ponytail, large pointy nose, pock marks on right side of face; wearing dark hooded sweatshirt, black beanie. Call in tips to 855-798-8477. 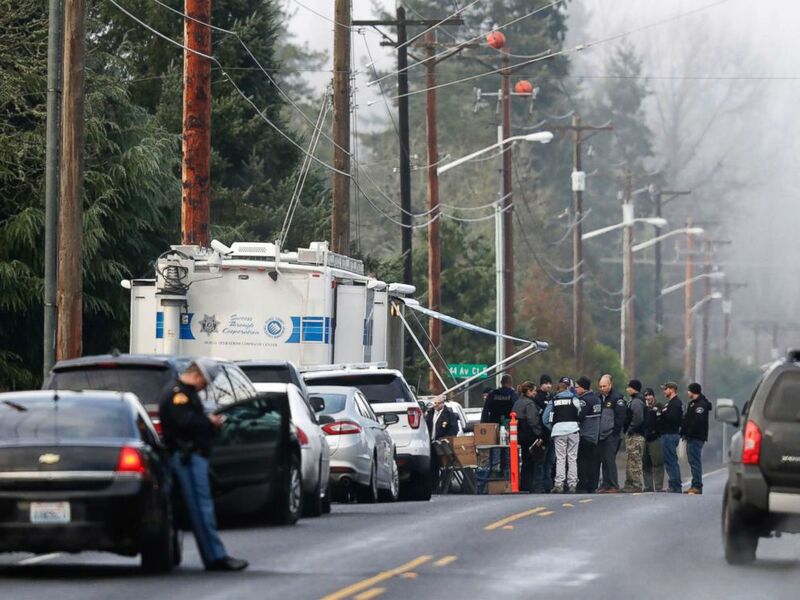 The suspect was found in a search area many miles away from the shooting scene after he gave a state trooper a fake name, according to Pierce County authorities. He was then arrested for obstructing justice and was later booked into jail on first-degree murder charges, officials said. He is expected to be arraigned on Tuesday. Investigators also found a second weapon and now have weapons from both suspects, according to the sheriff's office. It is unclear who fired the shots that struck and killed the deputy, officials said. It is unclear if more suspects were involved in the shooting, authorities said. A school district in the area said it canceled classes for today because of the ongoing police investigation. McCartney, 34, was a married Navy veteran with three sons, ages 4, 6 and 9, a sheriff's office official said. He had been with the sheriff's office for four years, Pierce County Sheriff Paul Pastor said. "This was a murder," Pastor told reporters. "Take a minute and think about what it means to stand up and step forward ... to live a life of duty and obligation and sacrifice as deputy McCartney did," Pastor said. "This man stepped forward and he lost his life as a result of working to protect the community." 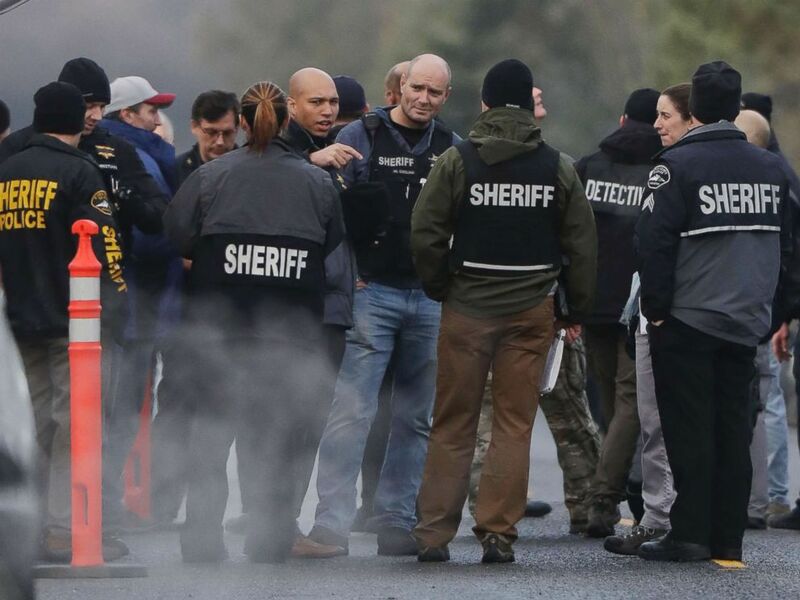 Pierce County Sheriff and other law enforcement officials gather, Jan. 8, 2018, in Frederickson, Wash., near the scene of the fatal shooting of a Pierce County Sheriff's deputy. The Pierce County Sheriff's Office wrote on Twitter, "We are with his family now, and we ask that you please keep his family, friends, and our department in your thoughts and prayers." 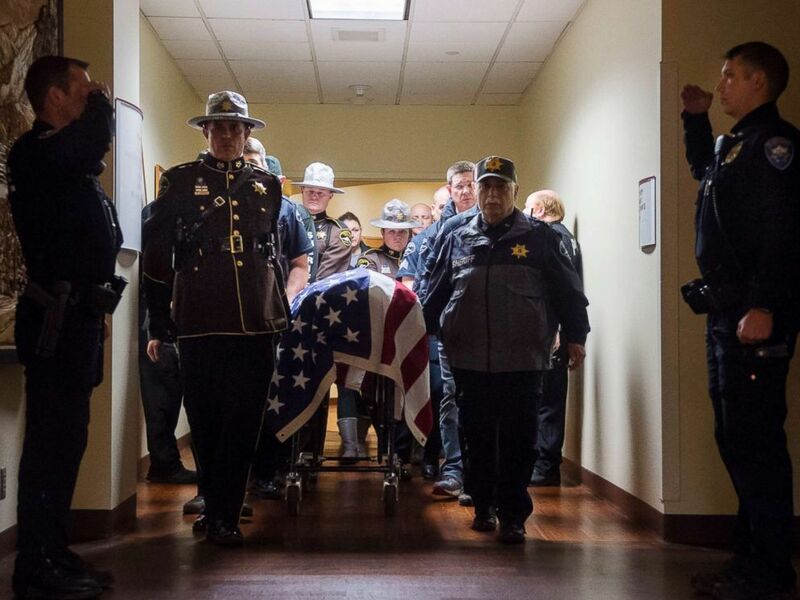 Condolences have poured in for the fallen deputy. Heartbroken to hear of the senseless murder of Pierce County Deputy Daniel McCartney responding to a home invasion last night. My thoughts & prayers are with his family, @PierceSheriff & our community. I wish a safe & speedy resolution as a manhunt is underway for the suspect.